Here's everything you need to know when you're tuning into this first-of-its-kind competition after the Super Bowl on Feb. 3. With the new year comes a new must-watch reality competition show—and The World's Best is nothing like you've ever seen before! 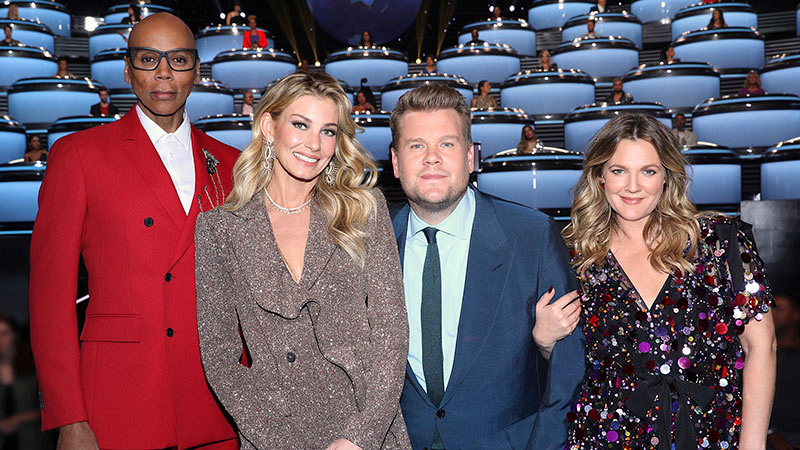 Hosted by James Corden, The World's Best is a first-of-its-kind global talent competition from two of the most prolific unscripted producers in television, Mike Darnell (American Idol, Ellen's Game of Games) and Mark Burnett (Survivor, The Voice), which features acts from every genre imaginable, from every corner of the planet. The series will premiere immediately following Super Bowl LIII on Sunday, Feb. 3 at approximately 10 PM ET / 7 PM PT (following post-game coverage) on CBS and CBS All Access. Each of the acts will have to work their hardest to impress the panel of American judges, which includes Golden Globe Award winner Drew Barrymore, Emmy Award winner RuPaul Charles, and GRAMMY® Award winner Faith Hill. To truly be deemed The World's Best, the acts will also need to break through the "wall of the world," featuring 50 of the world's most accomplished experts from every field of entertainment. Want for something extra? A special Sunday edition of the #1 show in late night, The Late Show with Stephen Colbert, will air that night at 11:35 PM ET / 8:35 PM PT (time is approximate following your late local news). Aside from watching the live broadcast after Super Bowl LIII on Sunday, Feb. 3 at approximately 10 PM ET / 7 PM PT (following post-game coverage) on CBS, you'll be able to stream The World's Best through CBS All Access on your desktop, smartphone, and a variety of other electronic devices, including Apple TV, Android, Google Chromecast, Amazon Fire TV, iPad, iPhone, PS4, Roku, Windows 10, and Xbox. Not only will CBS All Access let you stream every episode of The World's Best, but the subscription also includes full episodes from current and earlier seasons of your favorite shows like Big Brother (including the new season of Celebrity Big Brother), Survivor, NCIS, The Big Bang Theory, Blue Bloods, and specials like the Academy of Country Music Awards and The Tony Awards. Plus, you'll be able to stream all of the CBS All Access original series likeTell Me A Story, No Activity, and Star Trek: Discovery, which launches anew with its Season 2 premiere on Thursday, Jan. 17. If you want to take advantage of everything CBS All Access has to offer, you can try it absolutely free for a week!